Halloween is almost here, and Philadelphia is gearing up for one spooky showing of festivals, parties and events. Haven't made plans just yet? Check below for the ultimate list of ways to celebrate Halloween in Philadelphia. From Day of the Dead happenings to the best last-minute costumes, we've got you covered. Real estate website Zillow named Philadelphia the 13th-best city in the U.S. for trick-or-treating, beating out Portland, Dallas and Nashville in the top 20. 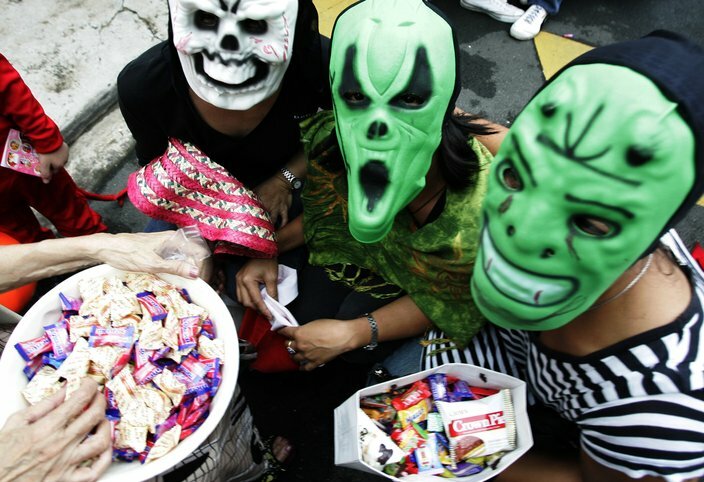 Diving further into their "Trick-or-Treat Index," Zillow also named five Philly neighborhoods as the top spots in the city for trick-or-treating. They said Fairmount/Spring Garden, Chestnut Hill, Cedar Park, Mount Airy and Manayunk are your best bets for a big candy haul this year. Letting the little ones go it alone this year? Check out the Track & Treat app for iOS. Created by Glympse Inc., Track & Treat provides parents and guardians with a real-time map that can be viewed from a phone, computer or Glympse app. Before your little ghouls and goblins come home with a sack full of sugar, prepare some of these scary-healthy snacks. 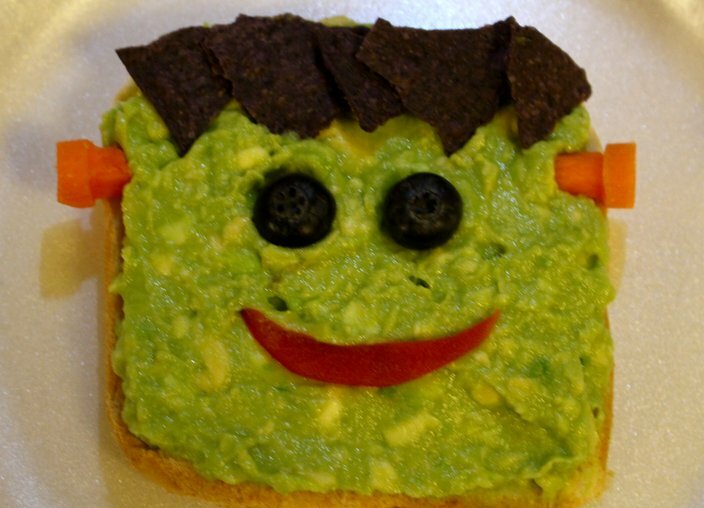 Turn an orange into a jack-o'-lantern, make a "graveyard" out of black bean hummus and serve up "Guac-enstein's Monster." Your kids (and your dentist) will be singing your praises all night. Looking for a not-so-creepy Halloween activity for the whole family? Adventure Aquarium, Penn Museum, Philadelphia Museum of Art, the Mutter Museum, Linvilla Orchard, Franklin Square and Laurel Hill Cemetery are all hosting age-appropriate events. No tricks, just treats. If you are looking for a grown-ups-only party to attend, look no further. Yakitori Boy, The Trestle Inn, Underground Arts, The Dolphin Tavern and Twisted Tail are all hosting raucous Halloween affairs. If you're looking for something a little more laid back, check out the spooky storytelling at Laurel Hill Cemetery, the Wes Craven movie marathon Prince Theater is hosting or Mischief Night at the Mutter. This weekend isn't just Halloween. It's also the Day of the Dead, the Mexican holiday that celebrates those who have passed on into the afterlife. 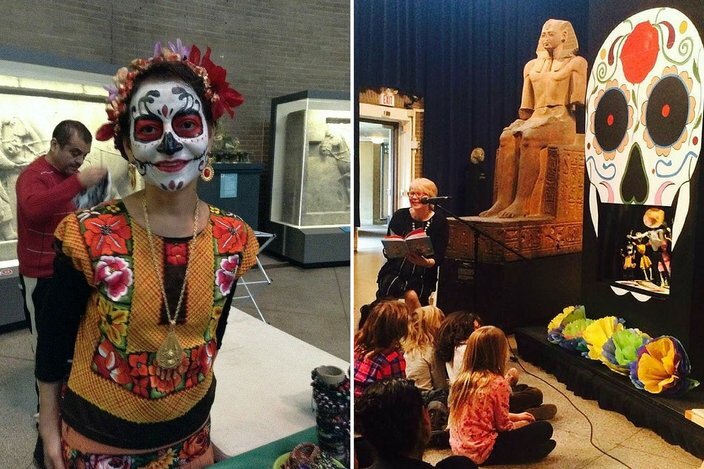 Explore Mexican culture with a "staycation" this weekend, checking out the authentic cuisine scene in Kennett Square, learning Spanish at local institutions and traveling to Philly museums to learn more. Join the holiday tradition with a cozy night in carving pumpkins. 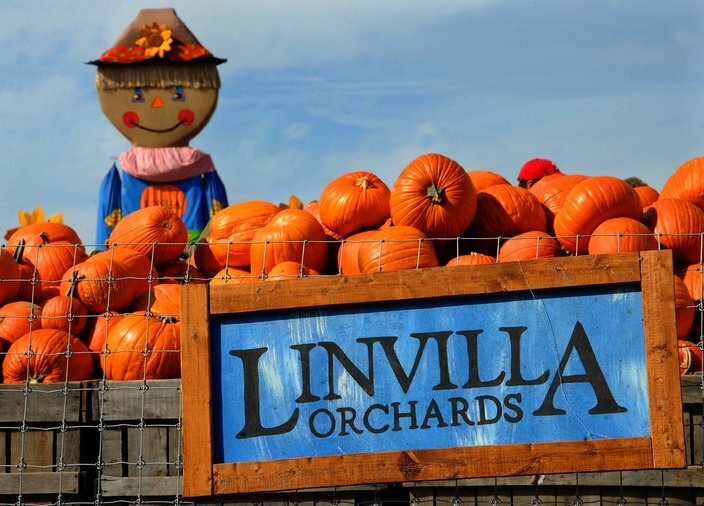 The suburbs are filled with pumpkin patches and farms where you can grab a blank canvas. 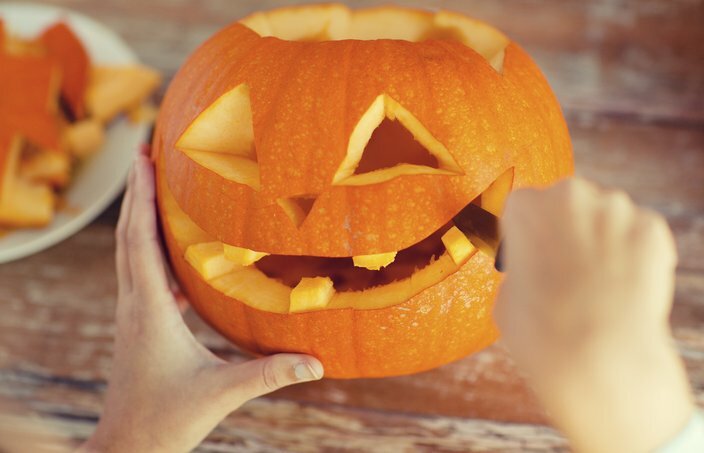 Don't forget the carving kit and your creative streak. Did you forget about Halloween's favorite decorative gourd? Head to Drury Beer Garden (behind Opa) and you can create your own jack-o'-lantern with a pumpkin ale in hand. It's all the fun with none of the mess. Pop-culture references are always popular among adult trick-or-treaters. This year, Donald Trump and "Pizza Rat" are among the top choices for costume buyers, according to experts. If you want to maintain some sense of originality, check Estately Home Search's list of the most popular costume searches in the nation. Using 11 years of Google Trends data, they determined what costumes users in each state search for more than users in any other state. New Jersey's most popular pick won't surprise you, but Pennsylvania's certainly will. If you're all out of ideas, check out this list of Philadelphia icons you can dress up as. From the Sixers' new mascot to Ben Franklin and Betsy Ross, the city is ripe with inspiration for the costume inept. According to surveys by the National Retail Federation (NRF), 20 million pet owners are planning on spending about $350 million dollars on their pets this Halloween. Keep your pets stylish and safe with these pet-friendly costume suggestions. You were planning on staying in bed watching "Hocus Pocus" for the 400th time this Saturday until your friend/neighbor/fun uncle decided you absolutely must join them at the big bash down the block. There's just one problem: You haven't bought a costume in years and you have to leave in a few hours. Don't fret! Local boutique Smak Parlour has put together two easy outfits for even the laziest party attendee. Just grab a few key pieces and you're ready to go. "Halloween is Edgar Allan Poe’s season. It's the ideal time to celebrate Poe’s troubled literary genius, forever cemented while living and working in his adopted city, Philadelphia, from 1837 to 1844. These incredibly productive six years made him the most influential writer to have worked in the city." "Two words: Prosthetic. Boils. For Casey Paul, special FX makeup artist at Eastern State Penitentiary, this gruesome phrase is just part of her everyday vocabulary. 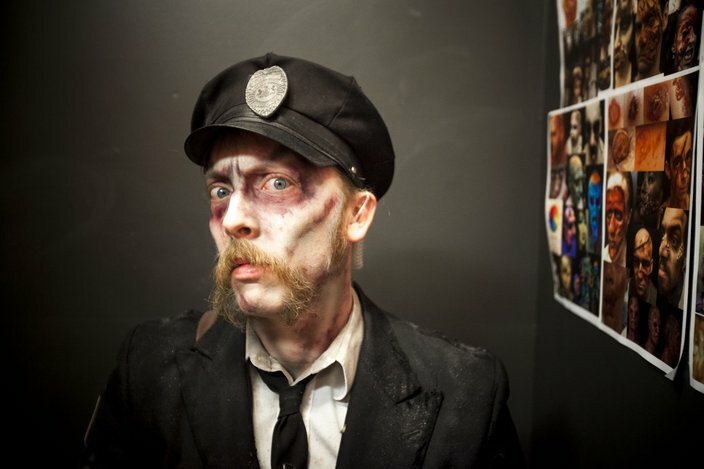 As one of the 14 makeup artists at Terror Behind the Walls, the historic site's seasonal fright fest, Paul spends each October turning actors into monsters, ghoulish clowns and zombies. Together, the elite team creates more than 200 creepy creatures in under three hours, sending them out into the site's 11 acres to scare the pants off visitors almost every night." 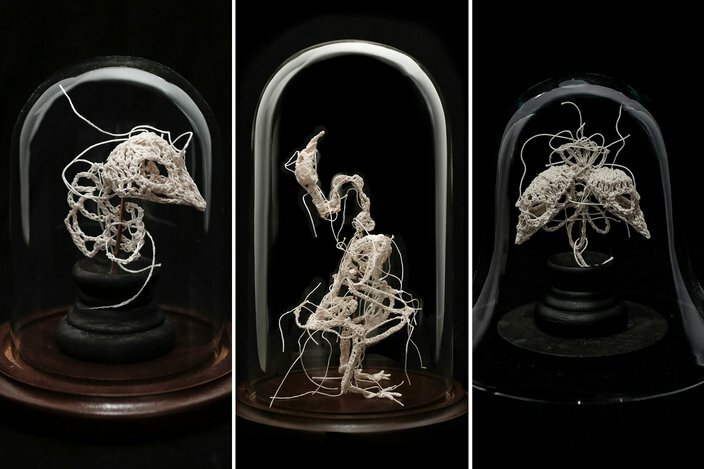 "To an outsider, McCormack's sculptures are creepy crocheted creatures, skeletons of dead animals posed under glass like specimens to be studied. 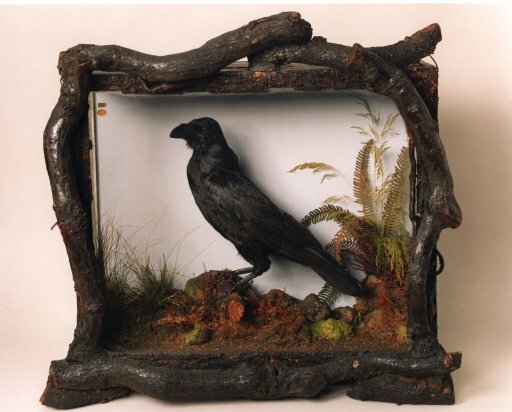 To her, each piece represents a different memory, and the overall aesthetic of her work is mined from grief."